Chain Sprockets are teeth like projections arranged on a wheel rim to engage the links of a chain. They engage chains in many different power transmission and conveyor systems. They are mainly made of cast iron, sintered metal and carbon steel. Inserted sprockets are also designed to reduce noise and operation. The sprocket must be inspected once a month for wear and if the teeth are worn down or are broken they should be replaced. We are leading manufacturer of Chain Sprocket in Vadodara, Guajrat. Sprockets are manufactured with high precision in British and American standard in all types. Sprockets are hob cut and the tooth is hardened and ground for better wear life and durability. 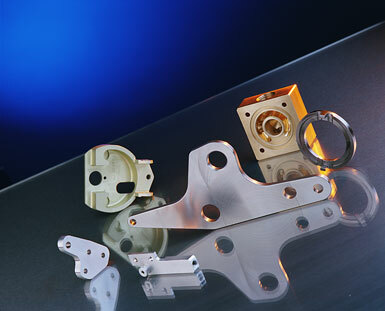 We manufacture a large range of CNC Turned Components. These components are highly precise and have varied end usage. Parts can be manufactured as per customer drawings. We are leading manufacturer and supplier of CNC & VMC Machined Parts and our product is made up of good quality. These products can be procured as per customer requirements and other international standards. Backed by an advanced in-house Measuring Instruments and Quality Control, we are able to offer superior range of products to the customers. Owing to the efforts of our dedicated team of professionals, we have been constantly engaged in offering the best quality CNC Milling Component. Owing to our expertise in this domain, we manufacture Worm Wheel Gear that is used as a rotating machine part in transmitting torque. The offered gear is manufactured using qualitative raw materials in compliance with international standards to meet the international standards. This Worm Wheel Gear is highly acknowledged for smooth operation, rigid construction, low maintenance, corrosion resistance, high tensile strength and longer functional life. This is offered in varied technical specifications as per the exact needs of the clients.